Part of my personal mission involves creating and facilitating workshops, travel experiences, and collaborative programs that allow creative people to connect with one another, share insights, and explore their practice in great company. Below are some of the programs I've had the pleasure of founding. As part of a mission to connect creatives through diverse and experiential endeavors, Light Grey Art Lab announced a residency program in 2014 that brought creatives from around the world together to explore the etherial landscape of Iceland's southern coast. The artists in residence apply to take part in a series of artist-led sessions throughout the week, with an emphasis on providing insight into the nuances of each individual's creative practice, and to challenge other artists to experiment and explore their own way of working. The Iceland Residency Program emphasizes a connection with the natural world, and allows artists to learn about the geology, culture and mythology of Iceland, while spending time creating in the field with one another. More details on this residency can be found on the Light Grey Art Lab website here. 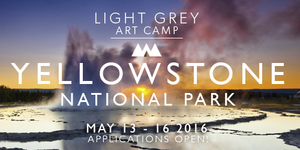 Light Grey Art Camp is an ongoing series of creative programs celebrating the grandeur of the United States National Parks and their ability to inspire our creative practices through color, form, encounters and exploration. This program began in the summer of 2015 and has since provided unique experiences to Bryce Canyon, Zion, the Rocky Mountains, and beyond. Each art camp takes place in a unique environment and provides an up-close-and-personal look at the flora, fauna, and natural formations present in the space. Experts in the local wildlife, history and geology join Light Grey Art Camp participants in order to provide context and insight into the spaces we explore, and artists participate in a variety of exploratory creative exercises, hikes, and discussions during the program. Campers enjoy the experience of eating, bunking and creating together in a cozy cabin in the wild outdoors with plenty of late-night talks and chats around the fire after their days of adventuring. I've had the pleasure of working with a handful of incredible creators in the fields of illustration, visual development, design and comics to bring new perspectives on creative business to my home turf in Minneapolis. 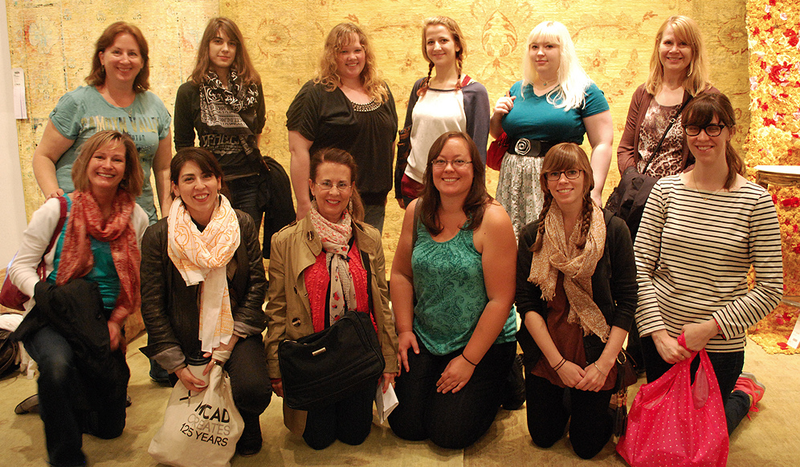 In the past several years I've had the pleasure of curating an ongoing series of visiting artist workshops, and working with our visiting artists to help provide others with insight into different creative careers. With each workshop, we strive to provide some transparency into the world of being a working artist, and empower creatives to expand their perspectives with the mentorship of someone already navigating the industry. Each visiting artist joins us in Minneapolis to develop an intensive 2.5 day curriculum focused on process, practice, business development and the industry pipeline, and we've been thrilled to see that artists participate from the Twin Cities and beyond. For more information about these workshops and recaps, please visit the Light Grey page here. Photos can be seen on our flickr page.